The final report of the year-long Commission sets out how a fairer food system can be built that works better for people on low incomes. 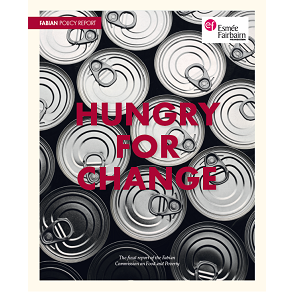 Following 12 months of consultation, the Fabian Commission on Food and Poverty is ready to launch its final report, which sets out a clear plan for a fairer food system and short, medium and long-term actions to ensure that everybody has secure access to nutritious, affordable food. Join the Fabian Society, the Observer’s Yvonne Roberts and members of the Commission to discuss their findings on Wednesday 28 October. Register for your free ticket to the event here. Throughout the project, the commissioners worked with an expert panel of people with direct experience of poverty. This group, based in Manchester and Salford, ensured the Commission’s recommendations will work for and make sense to those who are the intended beneficiaries.